Get the maximum compensation after a negligent auto accident involving an uninsured or underinsured motorist. For over 35 years, each insurance dispute lawyer at Golden Gate Law Group has assisted California clients in the recovery of maximum insurance benefits after a delay or denial by an insurance carrier. Uninsured motorist coverage on your insurance policy provides compensation after a negligent auto accident when the negligent driver has no insurance and is unable to pay compensation for medical bills, lost wages and long-term care. But Don’t I Have To Have Insurance For My Car? All California drivers are required by law to carry a minimum amount of auto insurance, including personal injury insurance in the event of a negligent accident. While insurance is required to drive, there are an increasing number of motorists on California roads and highways who continue to drive without adequate car insurance coverage. People who are unable or unwilling to pay for auto insurance will usually have fewer resources and assets that could be claimed in a personal injury lawsuit. Many drivers only carry the minimum amounts of liability coverage required under California law and that minimum amount is rarely enough these days to adequately compensate you for your injuries. Carrying Underinsured Motorist (UIM) or Uninsured Motorist (UM) insurance coverage can help make up the difference between compensation from the negligent individual and the amount you really need to get better. For more information contact Golden Gate Law Group. No one needs a run-a-round from an insurance company after a negligent auto accident–a time when you need compensation and you need it immediately. 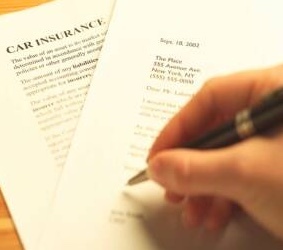 At Golden Gate Law Group, our attorneys have over 35 years experience dealing directly with the insurance companies of both the injured and negligent parties in order to expedite payment and loosen the purse strings of insurance carriers that are seeking only to minimize their financial exposure at your expense. With the ever-increasing number of uninsured and underinsured motorists on California roads and highways, there is an urgent need for you to protect yourself in the event of a negligent auto accident. Contact our uninsured motorists attorneys at Golden Gate Law Group today for a free consultation at one of our eight California offices. We explain your rights, options and their consequences in plain language and help you recover all the compensation you deserve after a negligent motor vehicle accident. Our California insurance disputes clients look to us for compassionate legal advice and aggressive representation in the courts–see a sample of our representative results over the past three decades. You can also read more information on other areas of our personal injury practice, including auto accidents, spinal cord injury and insurance disputes. We have been providing uninsured motorist coverage legal help to clients throughout California for over 35 years. These are only a small sample of the hundreds of uninsured motorist accident results we have handled.